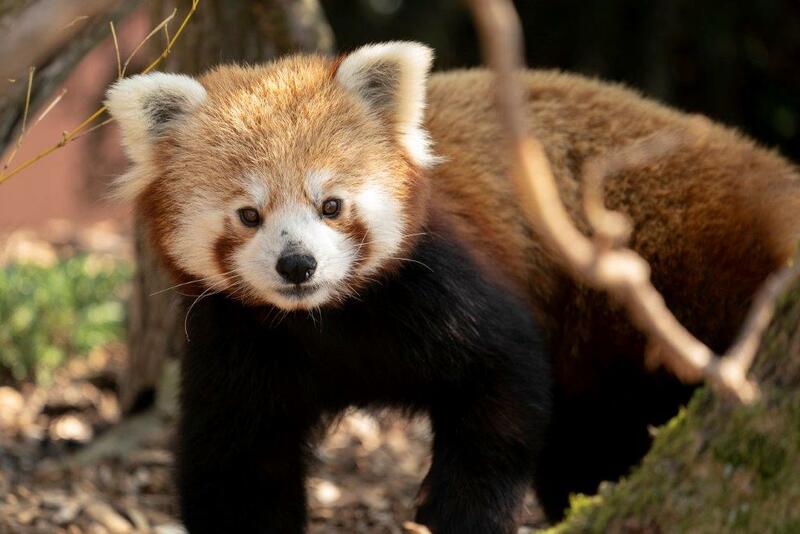 Marwell Zoo in Hampshire welcomed a male red panda from Gaia Zoo in the Netherlands last month as part of a European breeding programme for the endangered species. The three-year-old, named Peter, has now joined the Zoo’s resident female red panda, Mei Mei, in a new enclosure specially designed by keepers and landscape teams to replicate a red panda’s natural habitats. Red pandas are found in Nepal, India and Bhutan as well as China and Myanmar and prefer to live in forests that have plenty of tall bamboo, often on mountain sides. Mei Mei and Peter’s new enclosure has three different areas to explore, with lots of planted bamboo and thick low-lying bushes, as well as both coniferous and deciduous trees to keep them both content all year round. To give Marwell Zoo visitors the best chance to see the pair, the new home also has multi-level viewing windows as well as climbing structures for the pandas to pass people overhead.